When owner Andy Kreta, a life-long Stratford resident graduated in 1977 from Bunnell High School in Stratford CT, he decided to start his own business. He began with a small landscape company under the name AK’s Yard Service, which slowly grew from landscaping into tree removal, where the company found its niche. In 2013 Andy's son Andrew Kreta III graduated from Bunnell High School. 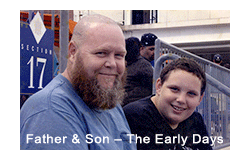 With his dad’s blessing he made a decision to take over the family business, turning it into a 2nd generation company. He changed the company name to A. KRETA AND SON Tree and Stump Removal to honor his father . As a young child, Andrew was always on the job with his father. Most of the time he would simply watch, but in time he began “digging in” and lending a hand. When he got a little older, he began operating various equipment and soon became a member of the crew. In high school he became very involved and focused within the company. By the time he graduated, he was ready to take over. 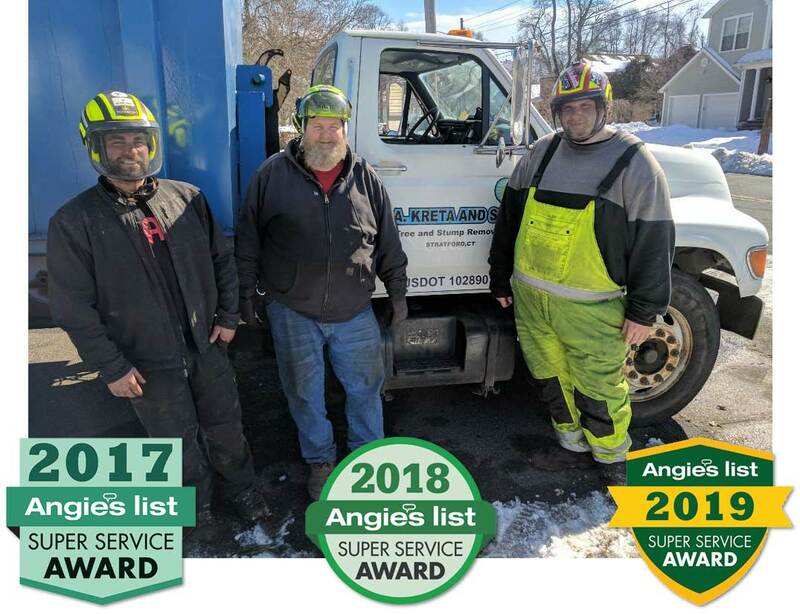 A. KRETA AND SON has an A+ rating on Angie’s List, and is an Angie’s List Certified Business. 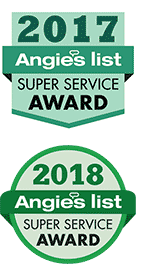 We’re proud to have won the Angie’s List SUPER SERVICE AWARD for two consecutive years, in both 2017 and 2018. We employ state-of-the-art equipment and machinery, and we attend multipleseminars each year to maintain and expand our knowledge base. Trees are 100% recycled. Chips and smaller logs become mulch, while larger sections of trees are passed on to firewood companies. In short, we strive to be responsible. contact the best, A. KRETA AND SON." 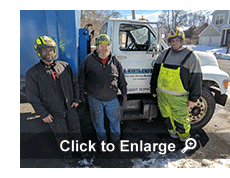 Kindly phone us today at (203) 455-4305 for a *free estimate. *Free Estimates within the local area we serve. 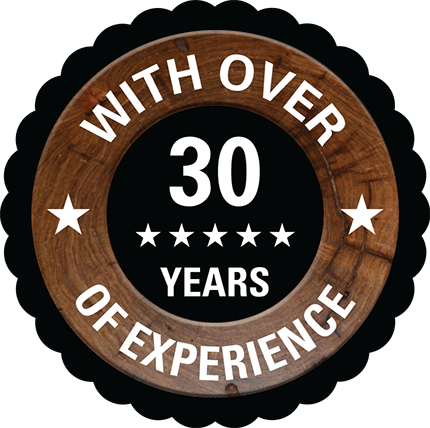 Our highly skilled team, with over 30 years of experience, can handle any tree removal, no matter how complex, large or small, including low-impact tree removal. We are fully licensed and insured. In addition, we have a Licensed Arborist (on staff). We’re certified to cut and work on trees near household power lines and main power lines, (EHAP- electrical hazard awareness program). A. KRETA AND SON also provides stump grinding, stump removal, tree trimming and tree replacement services. When necessary, we employ ground protection mats to minimize damage from our trucks and equipment to your land. We serve all of Fairfield County, Connecticut.